Full Description: A small picture of a young Harry Minting holding his Vega Banjo. 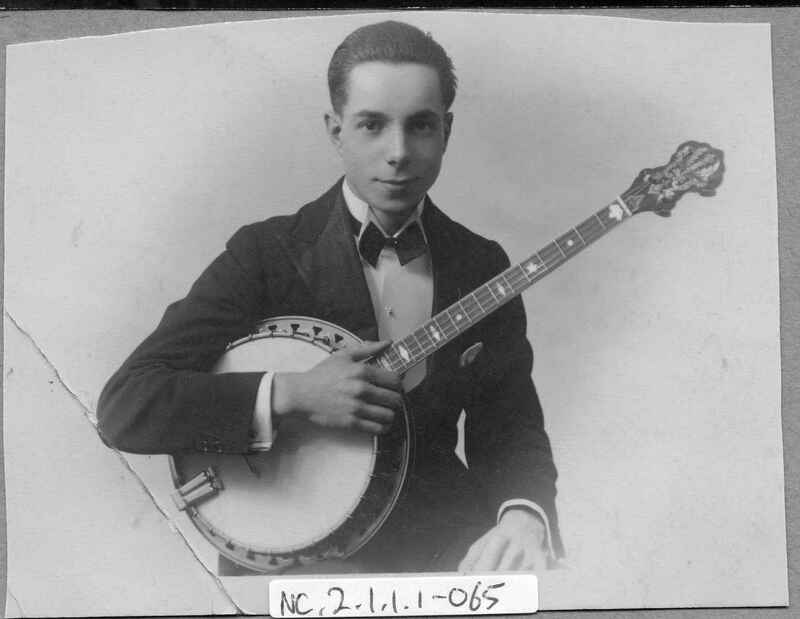 Harry played his Vega banjo for the Shakespeare-Rutterford Band from March 1924, and later appeared in the "Voice of Vega" magazine of noted players (see Items (see Items NC.2.1.1.1-036 a, b etc). (see also Items NC.2.1.1.1-036 and NC.2.1.1.1-038 for further banjo images).